The woman who starred in Llangollen’s recent smash-hit production of My Fair Lady is masterminding a scary new play which opens in Chirk tomorrow (Saturday) evening. 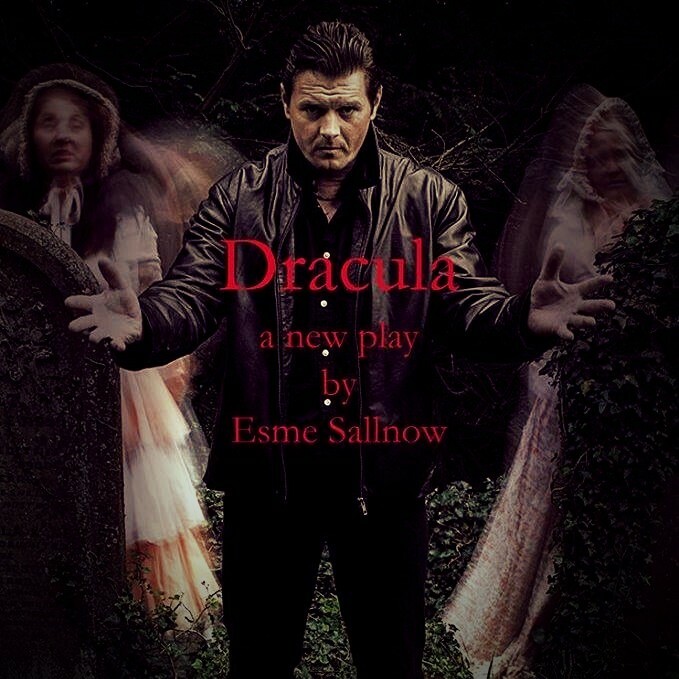 Esme Sallnow, who took the lead role of Eliza Doolittle in the Llangollen show, is the author and artistic director of Dracula which is being staged at Chirk Parish Hall at 7.30pm by the PunkSteam company. * A scene from Dracula. It’s 1896 and Bram Stoker is working on what will become his most famous novel. While he struggles with a serious bout of writer's block, Dracula takes things into his own hands, revealing a few surprising twists in the plot. Mina Murray, with her fiance Jonathan away on a prolonged business trip to Transylvania, is staying in Whitby with her aunt - a local operatic diva with vocal chords to shatter the earth (and eardrums), and spoiled, flirtatious cousin Lucy, whose husband to be has a prematurely receding hairline but a nice taste in breeches. Mina soon befriends the respected psychologist Dr Jane Seward and finds purpose at the local sanatorium, assisting with the case of the unusual patient Mr Renfield. Then, news of a shipwreck reaches the town, bringing with it talk of a dark and dangerous presence and Lucy's sleepwalking gets out of hand. Against a musical background of Franz Liszt, the play brings a completely fresh theatrical telling of this classic tale of gothic horror. After the show, you will have a chance for close encounters with original items and costume pieces from the 1890s, and also for Q&A time with the cast and the scriptwriter. From Chirk the play moves on to Hermon Chapel in Oswestry for performances on Thursday and Friday June 21 and 22. * Tickets are £10 on the door and £5 age 16 and under. To make a reservation, contact artistic director Esme on 01691 773016. Tickets for performances at the Hermon Chapel are available direct from the venue on 01691 662196.